September | 2010 | GoWests! Some old friends and co-workers. 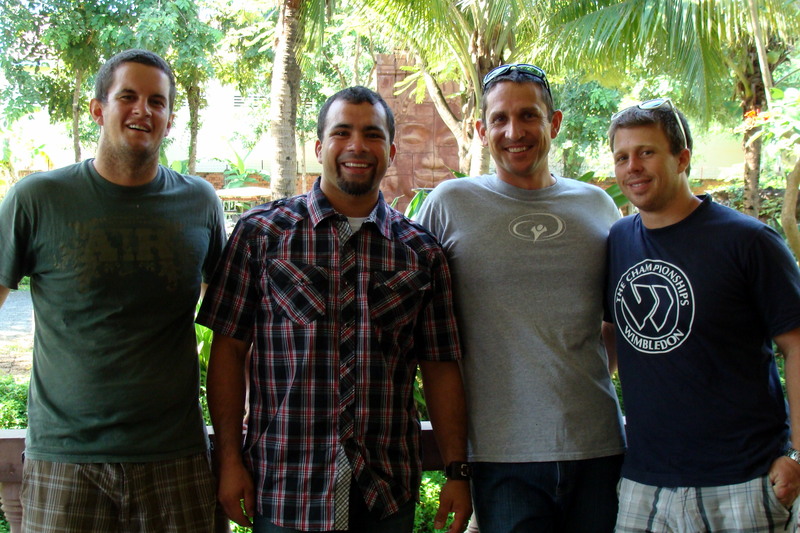 These guys are committed to Cambodia. Molly bringing some fun heat, Cambodia. Reminders of a recent past. Uncovered in our backyard. 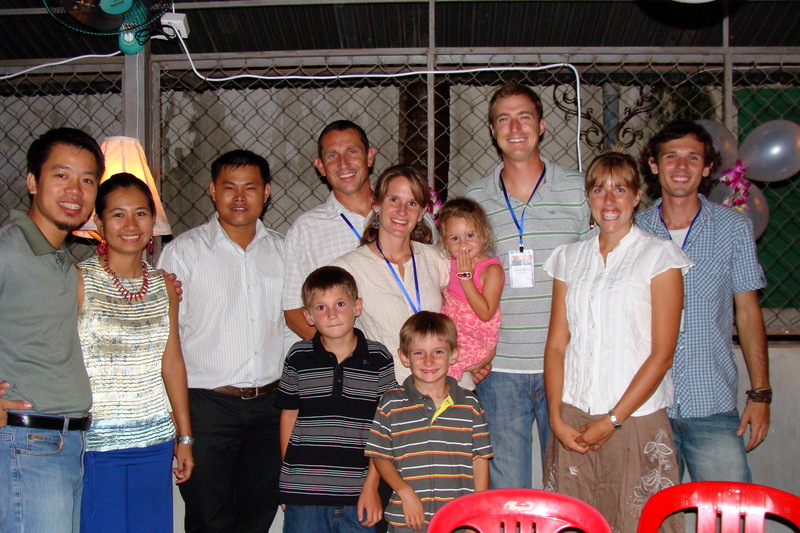 Some Thais & Laotian, being trained in Cambodia! Hi everyone. Below is our latest update. Some of you may have received it as an email, but we wanted to throw it out there as a blog for others who aren’t on our mailing list. It’s long, but worth the ride! Photos are on the next blog. Thanks for everything and for following the West’s adventure’s with God. Nations are changing, people! GoWests! DTS Equip is in full swing! 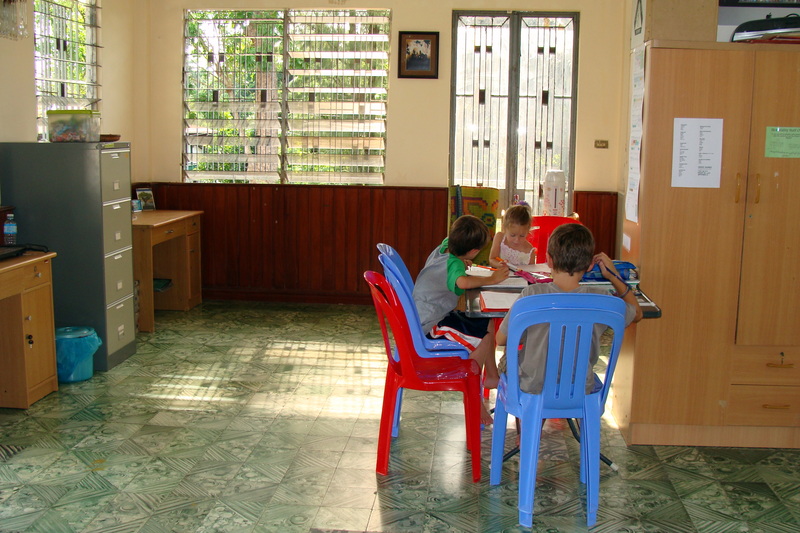 There is much to consider when running a school on the field AND with English/Khmer/Vietnamese culture and language! Jeremy and Dina are doing an outstanding job co-leading and of course our staff are excellent. The 27 participants really seem to be soaking up the teaching and being really challenged in their personal discipleship as well as their discipleship of others. The core of their faith is being strengthened to know what they believe and how to give words to it. Their view of themselves and of God is being hugely expanded to believe for much bigger things to be done in their lifetime!! It is really fun to be a mixed group representing Malaysia, Thailand, Vietnam, South Africa, Australia (not just Jer), and America, and to be moving forward together in these areas. Sweet! From 1975-1979, under the Pol Pot Regime, 90% of the educated Cambodians were executed. The remaining were forced into labor camps and endured famine and severe suffering. 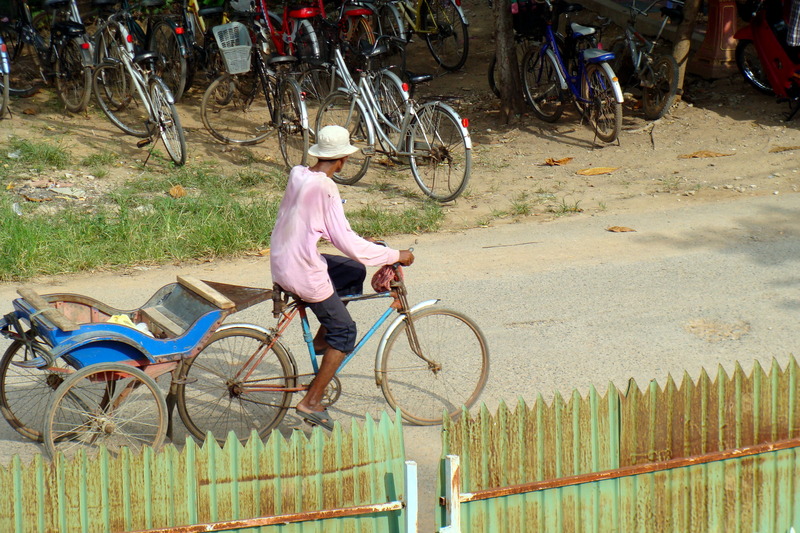 Following the Khmer Rouge, rebuilding the nation over the last 30 years has been slow. A huge hindrance has been the loss of the educated Cambodians that would have been qualified to do so. In light of that, as I meet people on the street, in the market, in YWAM, I realize that if they are my age or older, they endured the Khmer Rouge, as I was born in 1975. Anyone a few years younger than me was born into a nation destroyed by war and famine. So day to day life centers around sustenance: Getting food on the table, or the floor. Today, 80% of the population is under 30. Wow. In one sense, this is an exciting time to get the gospel out, when you consider how a nation could be shaped in one generation. At the same time, there are few role models who can pass on a lifetime of learning to these young people. Many of the older generation that survived the war suffer from post traumatic stress, causing many families to be broken or dysfunctional. Amidst all these facts, we see great hope! These young Khmer believers don’t have a lot to lose. 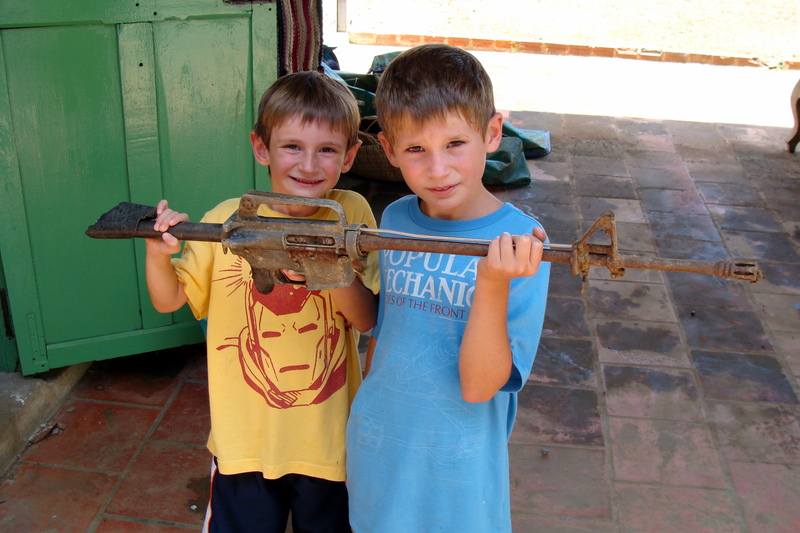 They will be great missionaries! Already, teams from Battambang have gone into Vietnam, Laos, Thailand, Myanmar, China and the Philippines. Investing in our young South-East Asian friends here is so fulfilling as we see what God can do in and through these people. We were able to participate in the Cambodia National Staff Retreat last Thursday through Sunday in Phnom Penh. 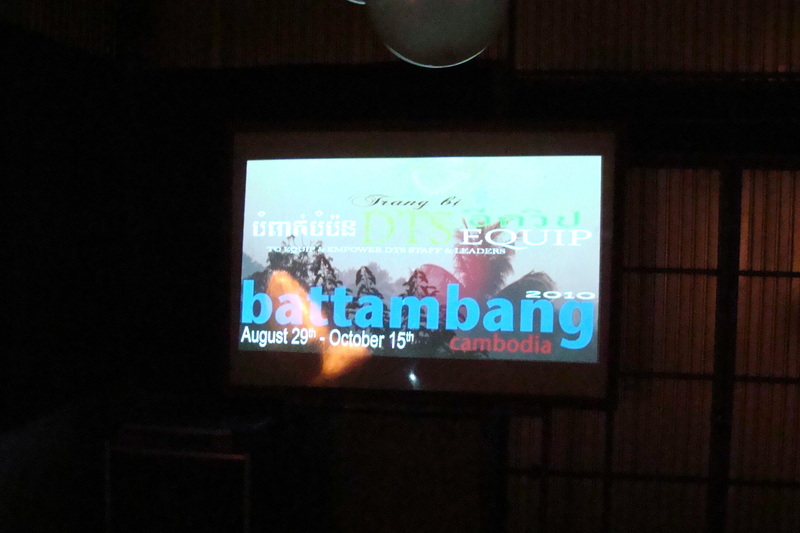 The 3 YWAM locations – Battambang, Siem Reap, and Phnom Penh- came together to worship, seek the Lord for his goals and plans for the future, and have fun! There were around 140 workers together. Five years ago, there were 30! And in years past, the majority were foreigners. Now 60% are Khmer! Current ministries in these locations are: Children at Risk Programs, Orphanages, English Training, Rescue Homes for Trafficked Women, Village Outreach, Job/Skills Training, Discipleship schools, Bible schools, Leadership Training and more! I felt privileged to participate in the retreat and through DTS Equip to contribute to the development of these young leaders and the bright future for this nation. As for the West family…honestly, the days are long and hot! I am so proud of my children. They are troopers! We are not spending much time outside as it is just too darn hot. When it does become a reasonable temperature to function outside, it is raining torrentially….so we stay in our building most of the time. 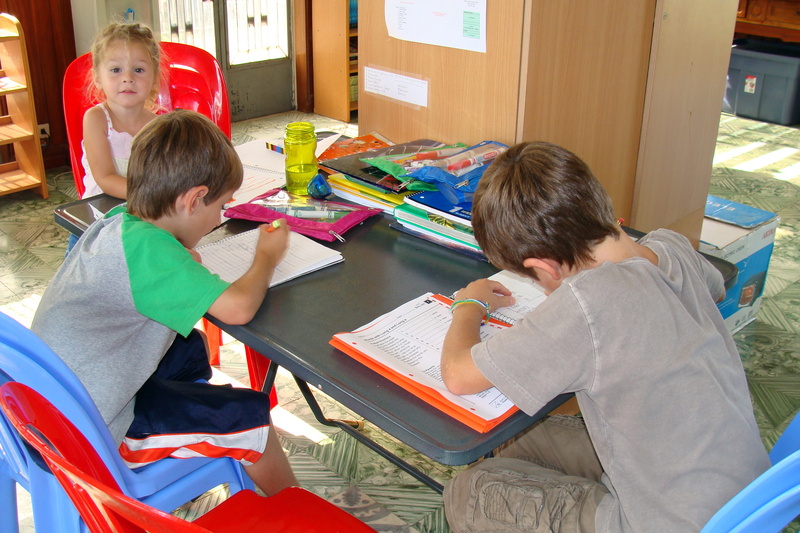 We do school in the morning and try to finish by lunch or early afternoon. Then we play games, listen to music, talk to people in the office, watch movies, build forts, etc. When we step out of our bedroom, we are in the office, which I really like! Our table for breakfast and school is in the office also, and I enjoy connecting with base staff here. Usually, it’s just one person at a time, as the others are busy elsewhere. Lunch and dinner are at the “old base” which requires walking through a “maze” as my boys call it from the “new base”, where we live. The “maze” is a very narrow path with high walls on both sides and it has a couple turns in it. So we get out at least twice a day!! The maze is home to snails, lizards, and frogs…another highlight! Also, the Pratts and the Smiths (old friends who are now long-term staff here) have opened their homes to us which we all love! Being in a home feels nice =D. As I am writing this the thunder, lightening, and wind are starting…momentarily, the full effect of monsoon will be here!! Life here presents its challenges, but we are finding so much satisfaction in the work God has given us. God has indeed blessed me….We have access to a washing machine, just downstairs from our room!! And the drying lines are on the roof above us – so nice!! Also, we are healthy overall (minus some strange rashes on the kids …hmmm), so we have much to be thankful for. Signing off for now, as the rain is so loud, that I can’t think straight anymore!! No joke!! !